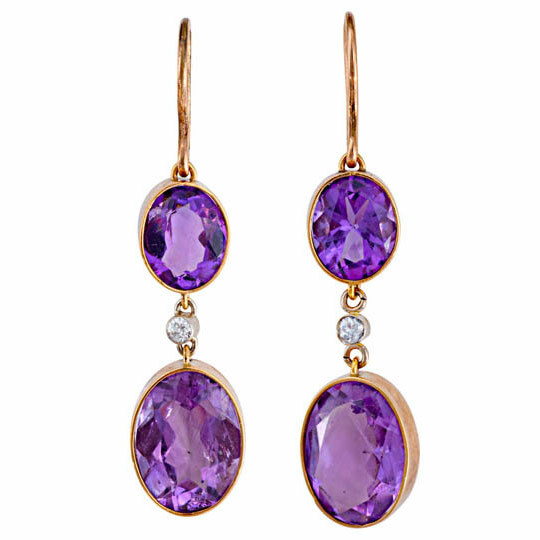 Contemporary Amethyst earrings in yellow gold mounts with a 0.05ct. 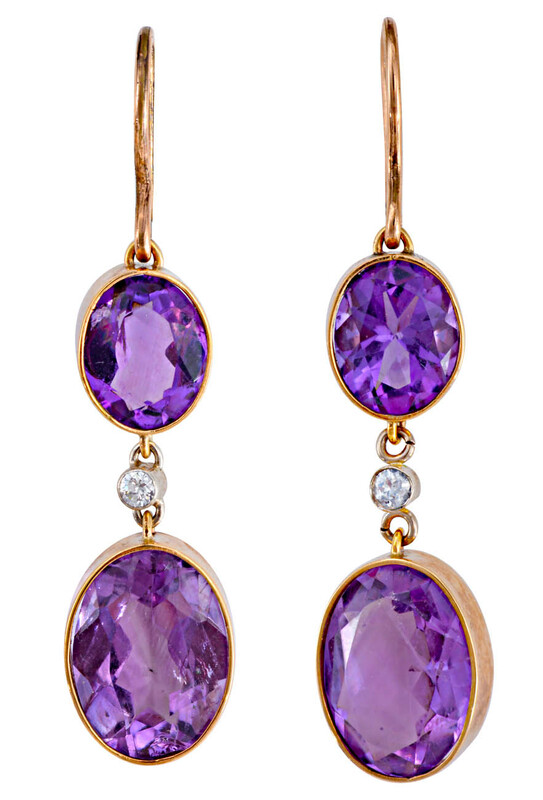 brilliant cut diamond to each earring. Length 4.5 cms.